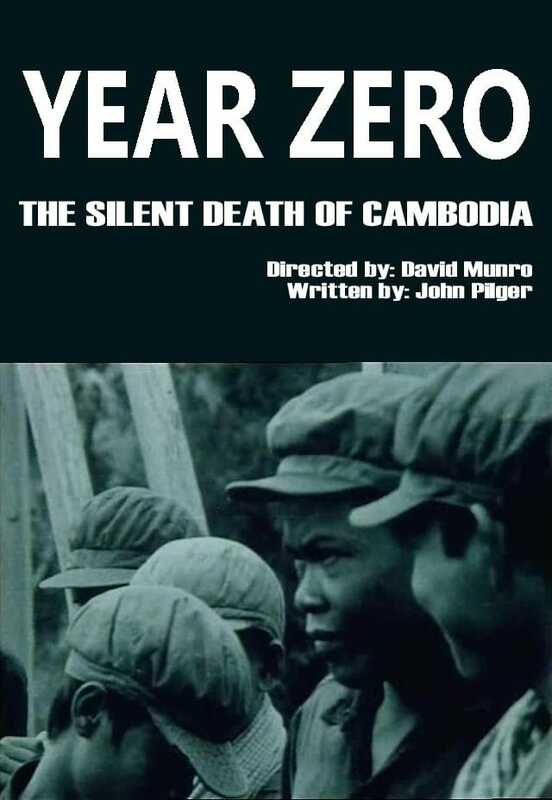 David Munro’s 1979 ITV documentary Year Zero: The Silent Death of Cambodia (written by John Pilger) captures the horrors and atrocities of Cambodia’s Khmer Rouge regime (1975-79) firsthand from the front line. While it is a hard watch, it is a compelling one, featuring interviews with survivors from the camps and detailing the ongoing suffering of the people after Pol Pot’s fall. Munro’s main argument is that the Khmer Rouge arose as a direct consequence of Nixon and Kissinger’s bombings of neutral Cambodia during the Vietnam War; while I do agree that this is an aspect of it, it is a limited view, and I personally think the conflict in Cambodia is much deeper and more complex. The Khmer Rouge were also very opportunistic, seeing the end of the Vietnam War as a chance to exert their power, to use a vision of socialist utopia to fulfil their ultra-nationalistic ends, reverting civilisation to an agrarian society and basically killing off everyone in the process in horrific and sadistic ways (no one was spared; they even killed children and babies, taking photographs of everyone before they killed them). The documentary is only about an hour long, but like other relatively short documentaries such as Night and Fog, it is hard-hitting, and some of the images of starving children or a look through a school-turned-death camp or a survivor’s account of the brutal torture he would experience on a daily basis at one of the camps. Another aspect that really stayed with me was that no other country (except for Vietnam, ironically) truly intervened to stop the genocide (not even Canada!). The good news is that the impact of the aftermath of the Khmer Rouge made a mark, and Cambodia received enough relief to administer penicillin to its patients. In retrospect, Vietnam eventually conquered Cambodia and toppled the regime and brought communism to the country (although communism didn’t really work for Cambodia), Pol Pot and the Killing Fields remain a dark, sudden, and haunting chapter in its history (current reports state that Pol Pot and the Khmer Rouge were responsible for killing a third of Cambodia’s population). This should have never happened, and what is worse, Pol Pot and his cronies never received true justice either. This is very powerful and affecting objective journalism, and Pilger and his crew took many risks to bring us this message (there are rumours that he was on the Khmer Rouge’s death list). It’s an important watch of an often forgotten past, haunting to walk through the once thriving cities (i.e. Phnom Penh) only to see them empty as if, as Pilger has written, it had experienced a “nuclear cataclysm.” I hope we all remember what happened in Cambodia and ensure that something of this magnitude never happens again. This entry was posted in Features, Movies, Reviews, Runstedler's DVD Pick of the Month and tagged 1970s, Cambodia, documentary, genocide, Khmer Rouge, Pol Pot. Bookmark the permalink.